Social Media and search are becoming increasingly interconnected, and some major initiatives by the search engines have made this change even more evident. As internet marketing becomes more focused on social interaction and reputation management, it’s important to understand how social media and search are currently related, and to pay attention to the impact social media may have on SEO in the future. In late October, Google announced the release of a new product called Google Social Search. Google Social Search attempts to aggregate all of the information about your network that it can, and then uses that information to give you a personalized search experience. To make use of Google Social Search, users need to have a Google Profile and be logged into it when they are performing a search in Google. It also goes one step further and indexes not only your direct connections, but also your friend’s connections. Right now, Google Social Search is in Beta testing. To try it out, log in to your Google account and create a Google Profile. You’ll need to incorporate links to all of your social networks into your Google profile. Then, go to Google Labs and click on the “Join this Experiment” button for the Social Search Project. Once set up on Google Social Search, when you do a Google Search, you will see a new section labeled “Results From People In Your Social Circle” at the bottom of the page. 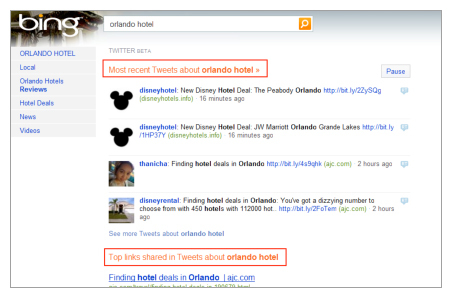 Clicking the header link will take you to a search page with results only from Social Search. Although Google Social Search is currently experimental, if it goes mainstream it could have a profound effect on the way people find your business online. For example, the more people who subscribe to your blog using Google Reader, the more users will potentially come across your articles when searching in Google. Microsoft is also making leaps into the social search arena with their announcement that they will be integrating Twitter and Facebook search results within Bing. The Twitter integration is already live and can be accessed at: Bing.com/Twitter. The Bing integration with Twitter not only allows you to conduct Twitter searches within Bing, it also updates in real-time and lets you search tweets by date and time posted, and by relevancy. Microsoft determines relevancy by looking at information such as the number of retweets, captions, the quality of tweets, and keywords. 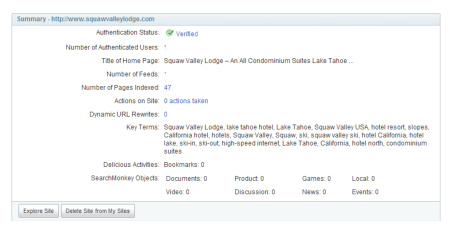 Yahoo has also made some efforts to integrate social search, but they are doing it through their Site Explorer tools. When you log-on to your Yahoo Site Explorer account, you will see a new section for Delicious that displays the number of delicious bookmarks for your domain name. It will also show Top Delicious Tags, showing which tags have been applied to the URL and how many people have tagged it. 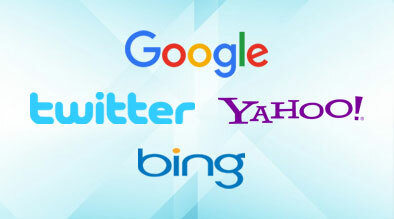 Clearly, the major search engines are embracing Social Media as an essential part of search. They have recognized that often the search results that come from a person’s social network are much more relevant to a user than purely organic or paid search results. Although we are at the beginning of the Social Search movement, it’s very important for companies to be aware of how social media can potentially impact their bottom line. Essentially, the larger the organization’s online social network, the more likely the company will show up in social search results. While very few people are currently using Google Social Search, businesses and brands should start building their online communities with the social search trend in mind.